Owning a Corvette means a lot of different things to different owners. Perhaps you are buying a Corvette for the very first time, or maybe you’re having a mid-life crisis (hey, there are worse things you can do than buy a Corvette to satisfy that desire to stay young). Perhaps you are an enthuisiast of the highest order, and have owned Corvettes your whole life. Maybe a particular series, or year, or actual model speaks to your heart and makes you long for the open road where the throaty engine can open up and let those around you know that you were there. Any, most or none of these reasons might be yours, and that’s ok, because owning a Corvette comes with a special connection. A connection that you will have with other owners. You’ll see a Corvette owner across the intersection and rev your engine, he’ll rev back in all likelihood. Or you’ll meet up on the road and “run a little bit”. You might come across a bleeach Mustang who thinks he’s in your class and let him take off, just long enough to think he’s actually in it…and then you leave him behind. It’s only natural. But here’s the deal. You buy a Corvette, because you love the Corvette. People don’t restore these classics, buy new ones, go to trade shows, etc. because they wanted to buy a car. A car is a Corvette, but a Corvette is much more than just a car. So, be proud of your ownership, maybe you are the first owner, maybe you are the 10th, maybe you restored it yourself, or paid to have it restored, brought it back from near-death and have it shining bright and running tough now. Good on you. Now realize just one other thing. Your story, whatever it is, while being uniquely yours, is shared by an entire community of owners. The community of other owners can be found locally, regionally or even nationally. Visit the Corvette National Museum – The Corvette Museum in Bowling Green, Kentucky pays homage to the entire line. If you like Corvettes, this is the stop you need to make at least once in your life. Join a local Corvette club – Most local areas are going to have some semblance of a club, for meetups and cruises, or just checking on how-tos and assistance with restoration projects and ideas or contacts where you can get the parts and supplies you need. 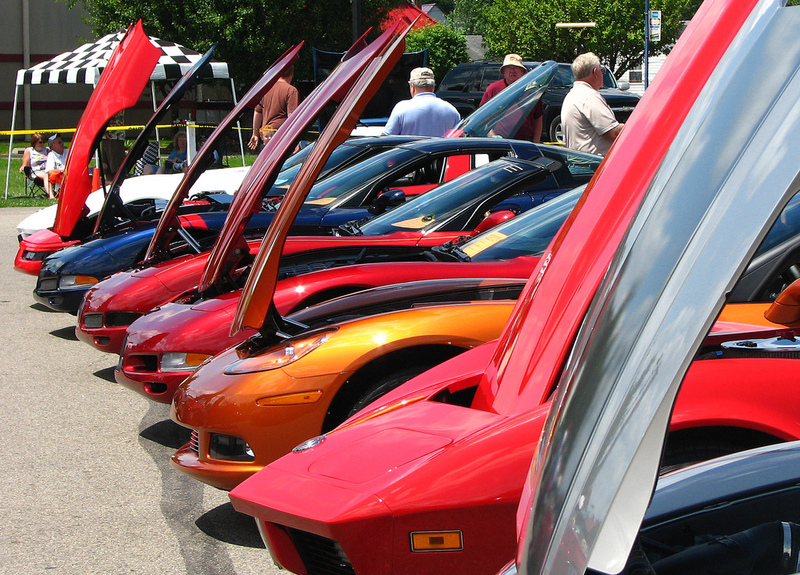 Local area clubs are the heart of the Corvette community. In the end, buying a Corvette is more than just buying a car. And to us, that’s how it should be.